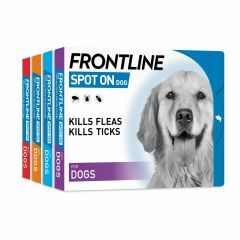 Frontline Spot-On for Dogs is for the treatment and prevention of infestations by fleas, ticks and biting lice and can be used as part of a treatment strategy for Flea Allergy Dermatitis where this has been previously diagnosed by a veterinary surgeon. 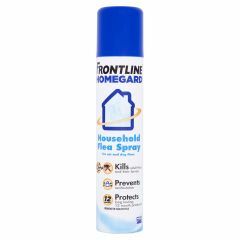 Frontline Homegard is a household flea spray from the manufacturers of Frontline Spot On, giving year round protection against adult fleas, eggs and larvae. 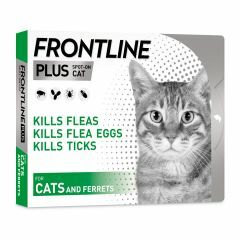 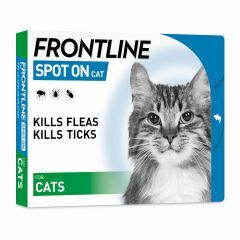 Frontline Spray is for the treatment and prevention of flea and tick infestations in cats and dogs, and can also be used as part of a treatment strategy for Flea Allergy Dermatitis in cats and dogs. 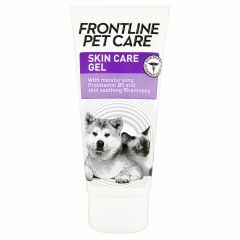 Frontline Petcare Skin Care Gel helps soothe, protect and moisturise patches of irritated skin in dogs and cats. 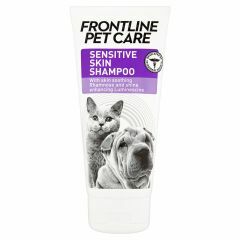 Frontline Petcare Sensitive Skin Shampoo is a great shampoo for dogs and cats. 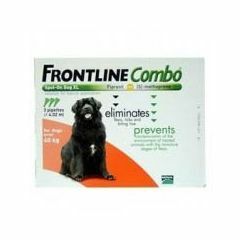 It hydrates, soothes and protects their skin and restores their coat back to its former glory. 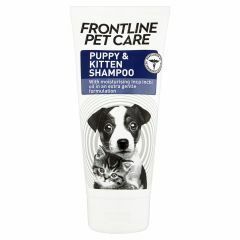 Frontline Petcare Puppy & Kitten Shampoo is a gentle, extra mild shampoo for puppies and kittens which moisturises skin and protects their coat. 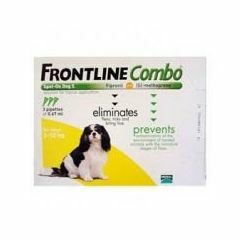 Frontline Petcare White Coat Shampoo enhances the radiance and condition of the coat of white or light-coloured dogs and cats. 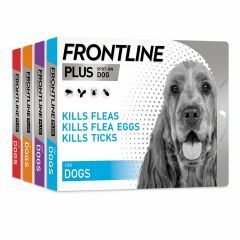 It even deodorises too! 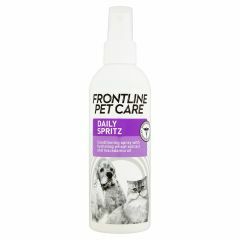 Frontline Petcare Daily Spritz is a daily conditioning spray for dogs and cats. 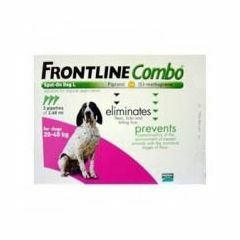 It conditions, deodorises and revives your pet's skin and coat. 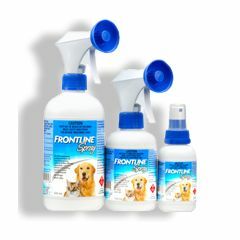 Frontline Petcare Leave In Foam is an alternative to wet shampooing. 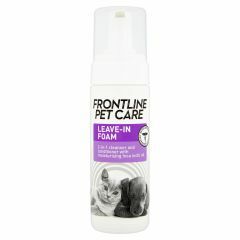 This leave-in cleanser and conditioner for cats and dogs doesn't require rinsing! 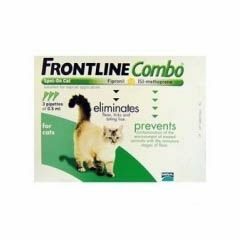 Frontline Petcare Odour Control Shampoo is formulated for dogs and cats with greasy, flaky skin. 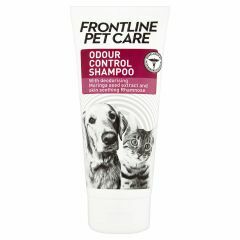 This shampoo degreases and deodorises. 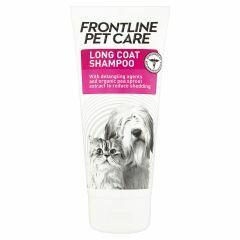 Frontline Petcare Long Coat Shampoo is a great anti-tangle shampoo which is formulated for use on long haired dogs and cats. 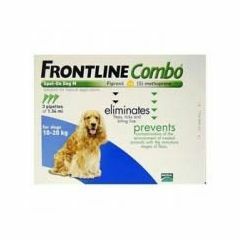 It strengthens and conditions the coat and aids grooming! 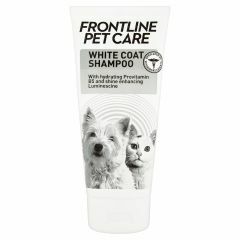 This shampoo for dogs and cats conditions, enhances colour and contains UV protection. 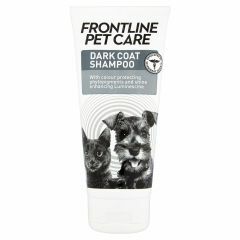 Frontline Petcare Dark Coat Shampoo will make your dog or cat look and feel fantastic!